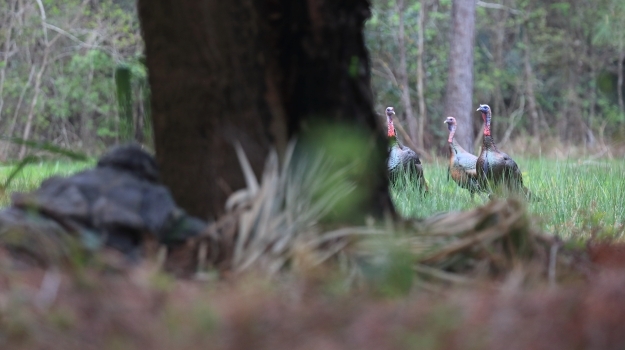 Five combat veterans with wounds, a Marine and four Army soldiers, joined ORHF and Mossy Oak’s Turkey THUGS (Today’s Hunters United for Good) television crew for a three-day hunt near Arcadia, FL. Four of the five wounded heroes successfully harvested birds, which was a first time turkey hunt for each. 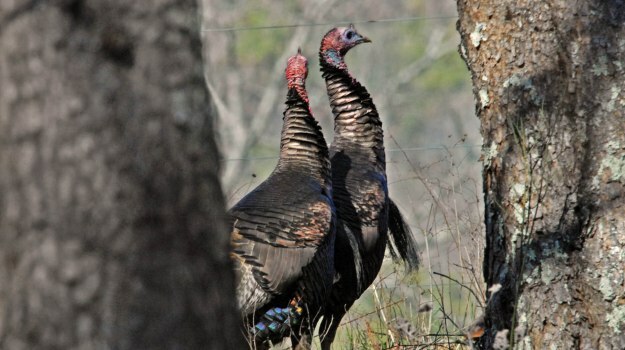 Mossy Oak will feature the hunt on their Turkey THUGS program, scheduled on the Pursuit Channel during the first quarter of 2014. 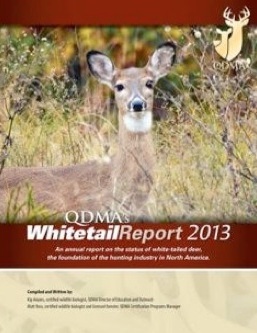 The hunt was hosted by The Florida Cattleman’s Association (FCA). They made arrangements for the property to hunt on, as well as the lodging and food. Keith Kelley, a Mossy Oak Turkey THUGS pro staff member from Jacksonville, FL coordinated the event with ORHF and FCA’s Executive VP, Jim Handley, who set up the donated hunt on a FCA member’s ranch, and even recruited his brother-in-law to do the cooking. Kelley said, “Our hunt with these really good guys was awesome. It couldn’t have been put together any better!” Reports from camp indicated they had a challenging experience but hunters had birds moving around them consistently, in spite of hunting in the area’s open ranch land habitat and the cold, windy weather. The food was great, and the camaraderie was top shelf. Hunters on the first 2013 turkey hunt included Matt Miller (FL ), Tyler Harrell (FL), Miguel Valdez (Austin, TX), Jonathan Page (Austin, TX ), and Dean Adkins ( MS ) . Lending a hand to make the hunt enjoyable and successful was: Keith Kelley, Jacob Kelley, Jim Handley, Bubba Bruce, and Col. Lew Deal. Cole McCollum and Joe White made up the Mossy Oak film crew. Bruce said several of the vets were quiet and withdrawn when the group first gathered. But he took it on himself to get involved with each one. His outgoing, friendly, “Bubba personality” had a big impact and by the time the event ended, those withdrawn guys were smiling, laughing and interacting with the group. At parting, phone numbers were exchanged and there were enthusiastic “bro-hugs” all around, as the new friendships were cemented in place. ORHF is actively seeking additional support to help organize and fund more hunts and fishing trips for the many wounded and injured veterans who hope for a chance to be part of the outdoors, either for the first time or as an assisted reintroduction to things they enjoyed prior to their injuries. For more information on ORHF and how you can help, see www.orhfund.org.